Drones have gotten a pretty bad reputation. The word conjures up images of war, surveillance and "collateral damage," which means civilian deaths. This week on World 3.0, we're introducing you to one company offering a kinder, gentler drone. Matternet's mission is to develop an unmanned aerial transportation system that can reach anyone, anywhere, perhaps most importantly those living in underdeveloped parts of the world. I sat down with founder Andreas Raptopoulos, an entrepreneur who has big visions for the future of drones and their potential to do good. Drones have the ultimate capability, in his words, "to redefine how we transport things around us." Andreas shared a startling statistic. Nearly 1 billion people on the planet live without access to all-season roads, meaning a significant portion of the population is unable to receive aid and emergency supplies when needed. In sub-Saharan Africa, 85 percent of the roads are impassable during the rainy season. Matternet sees a future in which drones could deliver medicine and humanitarian aid to these otherwise unreachable areas. They could transport blood tests, collect tuberculosis and HIV/AIDS diagnostics, and allow diagnoses to be made in an efficient way. Andreas told me that while driving to isolated villages could take a day or longer, a drone could travel the same distances in less than 30 minutes. 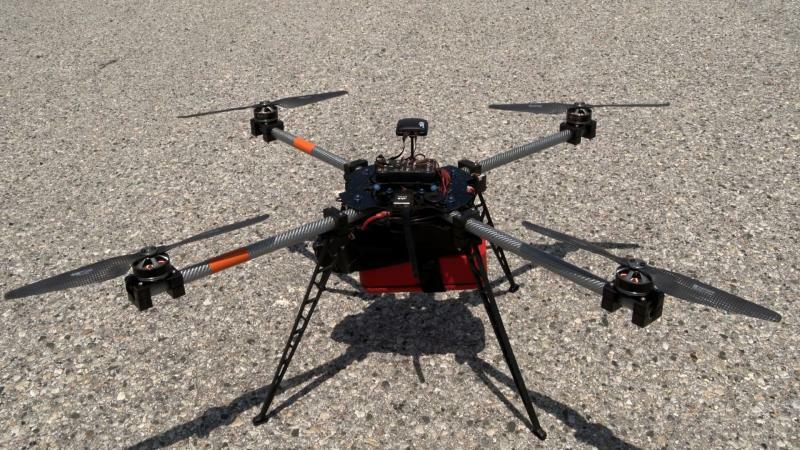 In August and September 2012, Matternet carried out its first field trials in the Dominican Republic and Haiti. This September, the company will work with Doctors Without Borders in Tokyo to conduct a trial run of its drones to transport TB samples from clinics in remote areas to hospital labs. What would normally take several days to transport samples, will now take just a few hours. Andreas stressed the importance of using these advance technologies in the places that need them the most. While he suggests the future will bring "aerial vehicles flying around us in a way that we won't even notice," he maintains the goal is to empower others to use this technology in a positive way, an objective he boils down simply: "If you succeed," he says, "you're going to be saving somebody's life." Who do you think is a global game changer, and what person would you like to see featured in this series? Let me know on Twitter ( @katiecouric ) or on Tumblr .